In the world of marketing, there are passing trends and there are proven methods that withstand the test of time. Trends come and go, typically because they take advantage of some technological loophole that’s eventually patched or because consumers develop a resistance to it. On the other hand, proven methods work reliably time and time again. We can rely on them because their efficacy is based on a some fundamental truth of consumer behavior. No matter what chances, we can typically count on people responding in certain ways to specific events or engagements. During the early days of the democratizing of marketing knowledge through the internet, business owners were often reluctant to target specific niche audiences. Their biggest concern was typically that niching down would restrict the number of potential clients that they could sell to. Specialization seems limiting on the surface, it’s true, but enough business owners have succeeded through specialization that most people are able to clearly see the benefit of doing so. We can all see the success that businesses are seeing from niching down, so there’s far less resistance among the small business community. Why Does Niche-Targeted Marketing Work? Marketing is most effective when it’s focused and deliberate. Casting a wide net requires some amount of ambiguity and generalization which reduces the effectiveness of the campaign. Focused, deliberate messaging can be crafted to resonate more deeply with the audience, thereby having a greater effect on their decision making. Specialization increases the perceived value of your offer. Consumers feel an innate trust with a business that appears to have special knowledge, experience, or interest in them. Niche marketing results in more qualified leads, and well-designed niche campaigns will usually provide the sales team with more information about the leads that are produced. When you know your audience, you can start to work out the intent and context of their search behaviors — a critical part of SEO marketing. What’s the Best Way to Choose Your Audiences? How much experience you have with them. How well you and/or your company relates them. Whether or not you can cite specific examples of excelling within that audience. 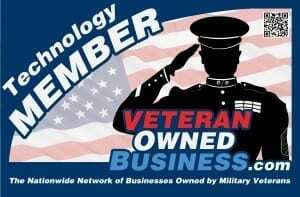 Many companies succeed because they’re comprised of military veterans who market to other veterans. Geographical targeting can work. If you’re extremely active in your local business community, you can use that presence to resonate with other locals. Audiences can be based on interests, backgrounds, memberships in specific organizations, economic status, business size, or any number of other factors. Once you’ve identified your key audiences, you will need to change your marketing approach so that you’re leveraging the potential of niche marketing. Use lead generation funnels to put the right messaging in front of the right audience. Use targeted landing pages and specially-crafted offers throughout the funnel. Begin researching keywords related to the niche audience for SEO, then add content to your site accordingly. Use dynamic content to streamline the targeting of your emails, landing pages, and website. Start gathering contacts within that audience to feed into your targeted funnels. There are plenty of ways to get targeted leads, including scraping, trade shows and events, or buying lists from reputable providers. Time to Reboot Your MSP Marketing Initiatives! If you’re not already targeting your marketing, incorporating the above methods into your strategy will most likely increase your lead generation many times over. It’s important to remember that execution is always the biggest factor that dictates results. While the methodology is proven and reliable, your success will hinge on the audiences you select, the quality of your marketing materials, and the effectiveness of your messaging. If you want to maximize the potential of targeted marketing, we recommend working with an experienced MSP advertising agency like Your Sales Energy.